In Maple Ridge, British Columbia; on the South side of the Golden Ears Mountains and just east of the Golden Ears Bridge; on the border of Pitt Meadows & Maple Ridge. The distillery sits near the foothills of the Golden Ears Mountains, which along with the neighboring Mountains receive an average of 500 cm of snow per year. The snow-melt provides an abundance of pristine water used in proofing our spirits. On-site, we use the artisan craft method to distill a soft and smooth, clean tasting, yet full-bodied super premium vodka. Each bottle is handcrafted with organically grown and locally sourced ingredients to ensure that the highest quality of vodka is being created for our customers. 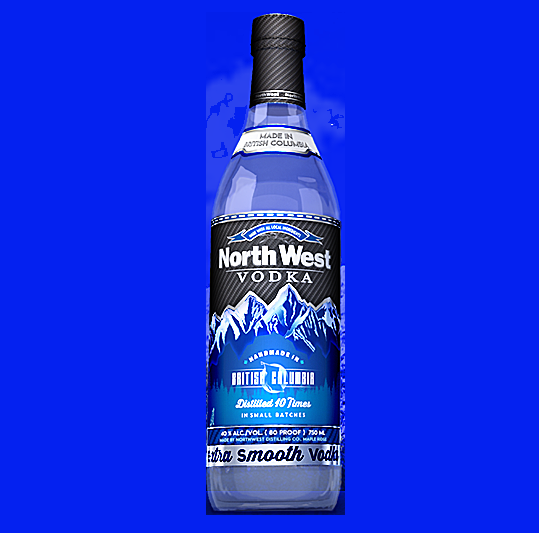 At North West Distilling Co. we hand label and test each bottle for quality control purposes, guaranteeing a pleasurable finished product.